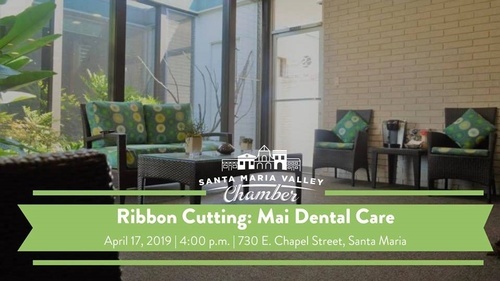 Join us in welcoming Mai Dental Care to the Chamber with a ribbon cutting! The ribbon cutting will take place at their office (730 E. Chapel Street in Santa Maria) at 4pm sharp, so be sure to arrive early to sign the ribbon! We're excited to celebrate another great local business in Santa Maria!